A very sweet baby rattle made of celluloid. 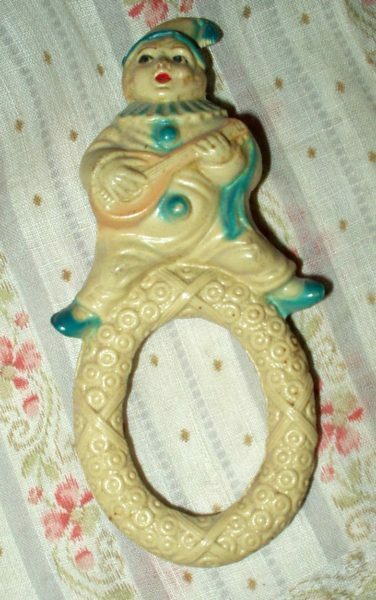 Dating from the vintage years of the Edwardian to early 1930’s, the figural rattle features a clown or jester playing a mandolin. Rattle still is in working order. A baby’s charming plaything from the past.